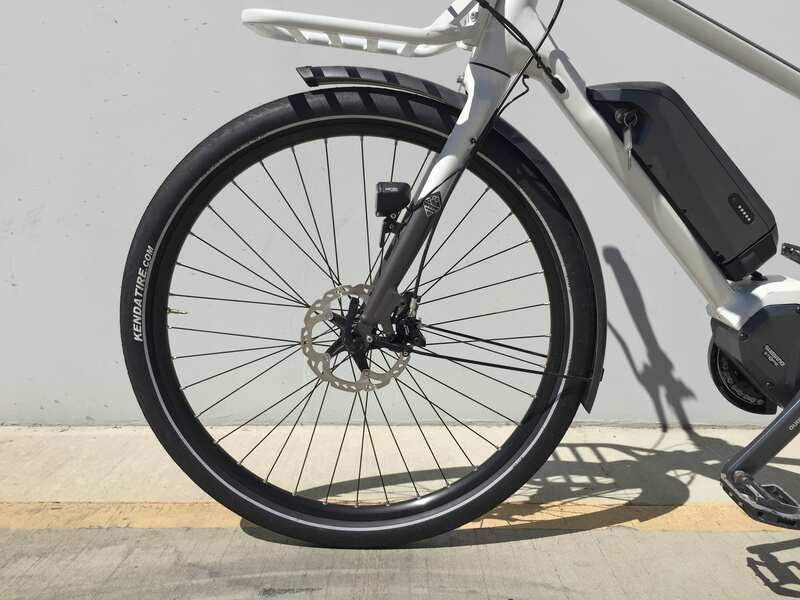 Integrated Cartridge Bearings, Tapered 1-/18" to 1-1/2"
Kenda Koast, 27.5" x 1.75"
The Walleräng M.01 is a “modular” electric bike platform that combines sport with transport. 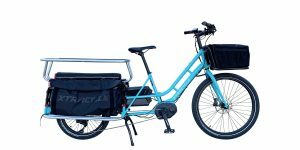 It’s capable of acting as a light-weight cargo ebike with the dual rack system and I appreciate the way the front rack does not turn as you steer the bike. It starts out as a small out of the way platform and transforms into a larger more capable platform with the optional basket attachment. 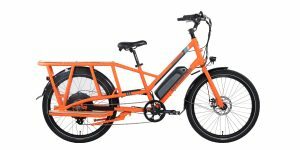 If you’re planning to do more cycling than hauling, consider the M.01X which comes with an air suspension fork… and if you’re a petite rider with shorter inseam, consider the M.02 which is a mid-step. And yes, there’s an M.02X with suspension as well. 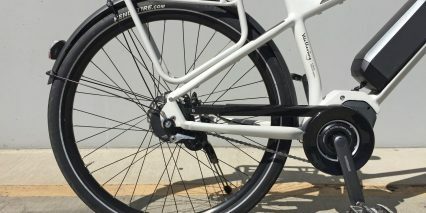 I found the bike to be comfortable and very capable, almost delightful to ride thanks to a unique auto-shifting drivetrain. 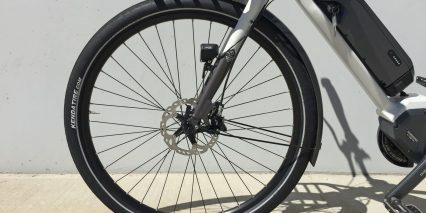 Instead of of going with a standard cassette and derailleur like most bikes, the Wallerang comes with an internally geared hub that can be shifted at standstill. 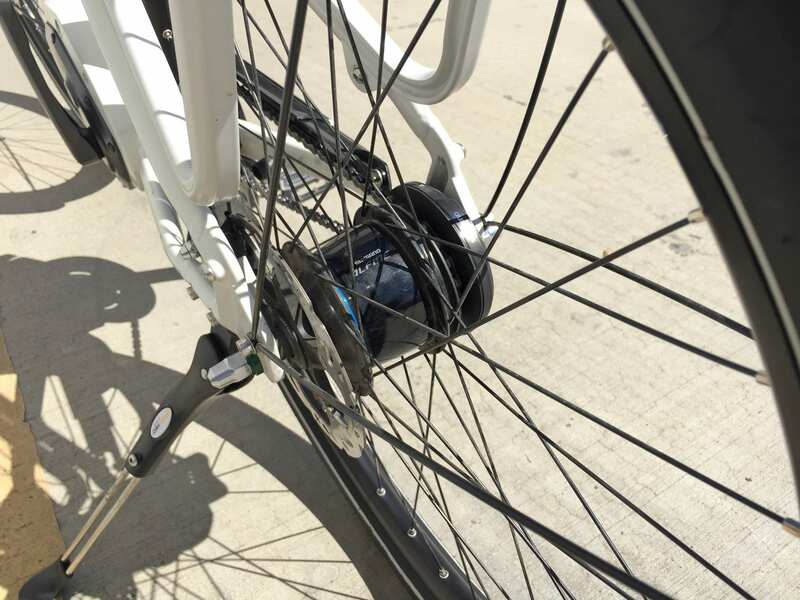 These tend to be reliable because they’re sealed off and don’t require external parts (like the derailleur) that can get bumped easily if the bike tips or is stored at a rack. You get eight speeds and they are shifted with an electronic button pad exactly like the one used to change assist levels. 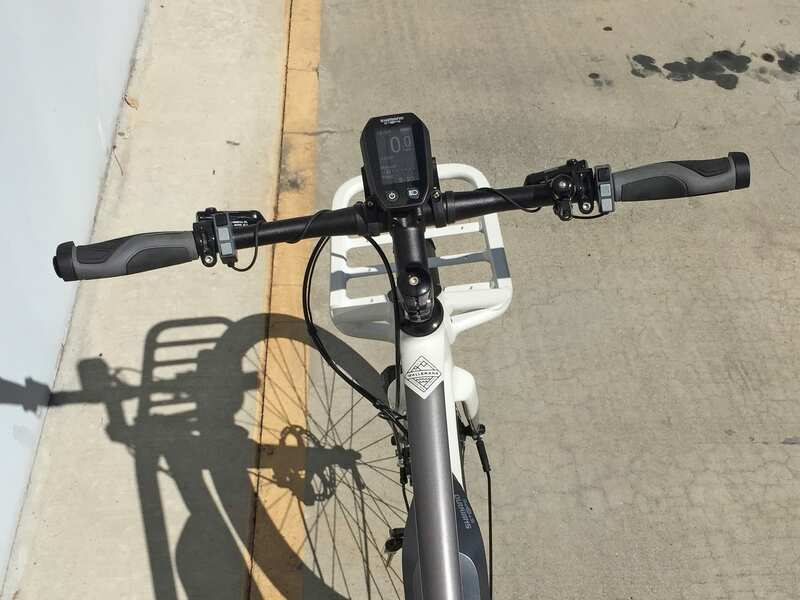 The bike feels like a robot or an electric car in some ways because the traditional levers and mechanical parts have been replaced… but that doesn’t mean it’s intimidating or complicated to use. Quite the opposite actually. the button pads have a black button at the top (for changing the display readouts on the left pad and for changing from auto to manual shifting on the right pad). From here, you can arrow up or down to get more or less power on the left and up or down to switch gears on the right… simple. And you can even override automatic shifting if you want. 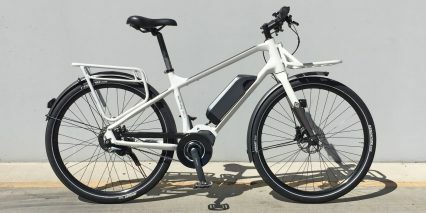 It’s one of the coolest ebike systems I’ve tried to date and I’ll discuss some of the more advanced options further down. 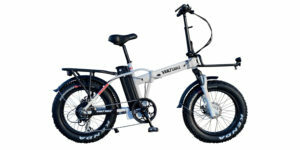 Adding to the experience are matching full-length fenders, integrated LED Lights (the headlight points where you steer and stays out of the way of the rack), a chain cover, comfortable reflective tires and excellent hydraulic disc brakes with adjustable levers. 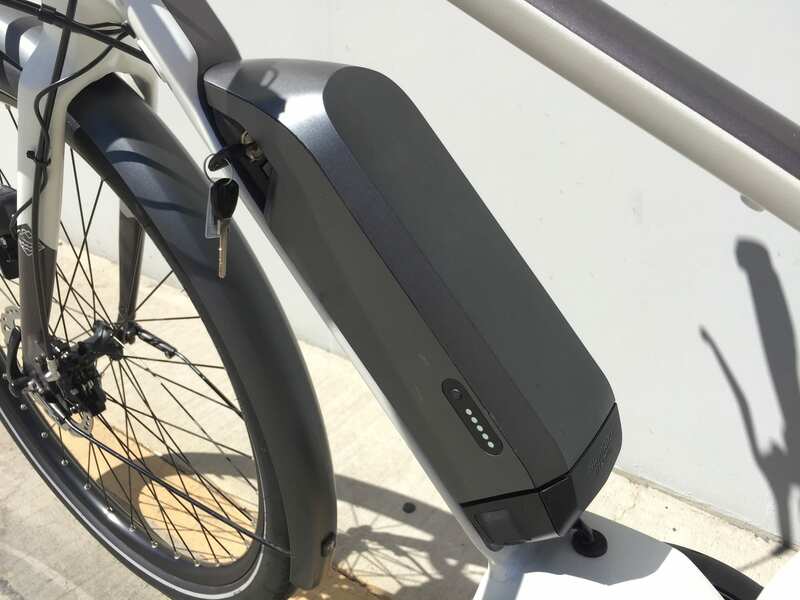 This is a top-level ebike in so many ways, and while the motor isn’t rated as powerful as some competing offerings, I had no trouble accelerating or climbing a small grassy hill and found that it was super responsive. 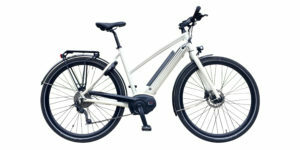 Driving the Wallerang electric bicycles is a Shimano STePs mid-drive geared motor. It’s rated at 250 watts nominal with 50 Newton meter peak torque. This is one of the most compact centerdrive systems and I think it’s also lighter than the competition. While it doesn’t blend perfectly with the metallic-white frame color, it still looks great and you get safety points (a larger visual footprint) with the white. 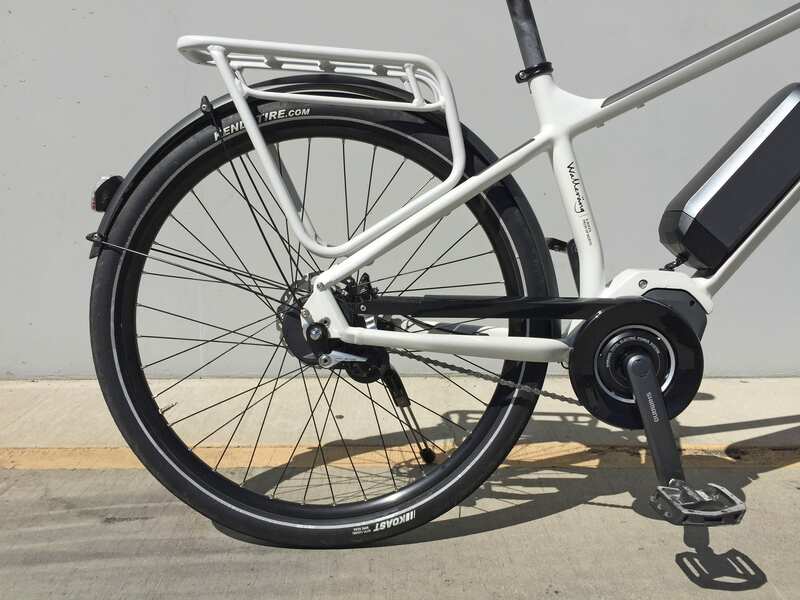 The motor responds to signals from your rear wheel turning, your pedal crank movement and the force with which you peadal. It’s extremely fast to start and stop so you never feel out of control. I noticed that it did produce more noise in the higher levels of assist, especially when spinning faster, but appreciate that it did not cut out before hitting higher RPM. I prefer to pedal faster and have found that the Yamaha motor cuts out before I’m ready to shift up… not a problem here. 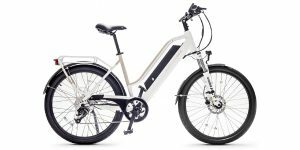 Powering the motor, integrated lights and backlit display… as well as the shifting, is a 36 volt 11.6 amp hour battery pack. It’s fairly light at just under 6 lbs and seated beautifully on top of the downtube. 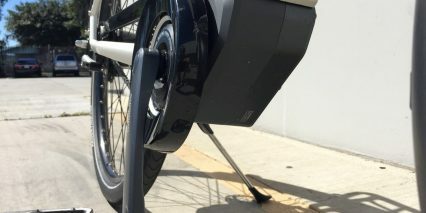 Unlike some of the older Shimano STePs batteries, this one can be charged on or off the frame. Unfortunately, you need a little dongle plug adapter to charge off-frame and that can get lost easily. Perhaps future versions could have a little leash or maybe they could migrate to a single-plug standard to reduce the weight and inconvenience of hauling around ane extra part. 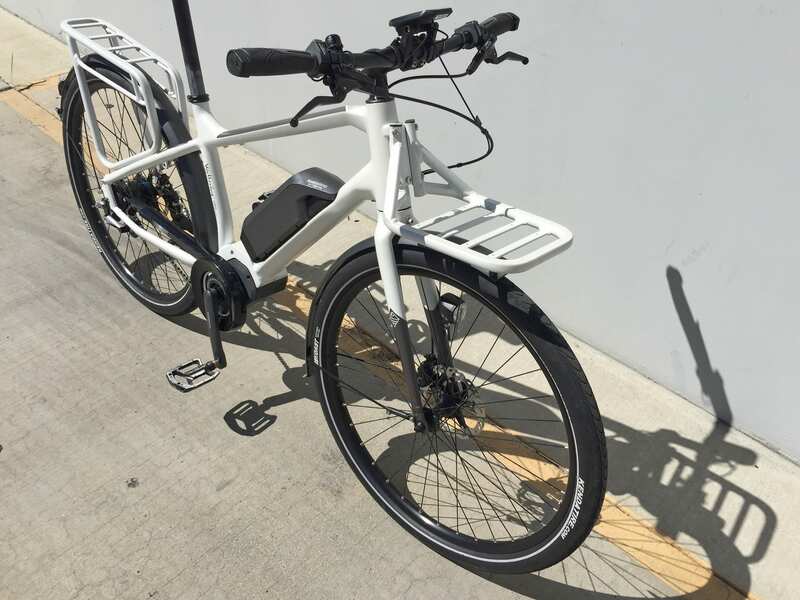 Still, I usually leave my battery on the bike when charging and given the adjustable kickstand and overall stable build (not to mention the narrow racks that are easier to deal with than a full-sized cargo ebike) I think it works well enough. 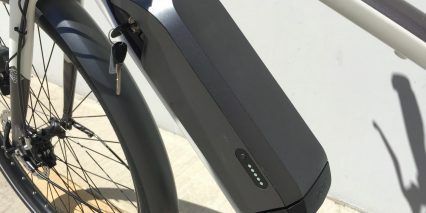 The plug for charging the pack on-bike is at the lower left side of the battery mount and has a nice rubber flap on top to keep dust and water out. I had mixed experiences seating this flap and noticed that the left crank arm passes nearby so be careful not to bump the cranks while charging or it could snag the wire and possibly bend the plug. The battery pack slides in from the left side vs. clicking down from above and that allows for tighter frame designs (you can see this with the M.02 mid-step frame). For the traditional diamond frame that I reviewed, they added bottle cage bosses below the top tube with the extra space and I’m a huge fan of that! 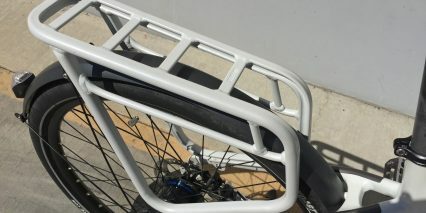 Remember, you can easily take off both the front and rear racks for a lighter weight, sportier setup. 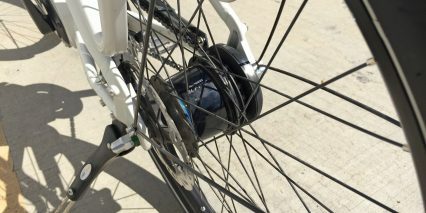 Those bottle cage bosses could double as a lock mount or mini-pump mounting point. 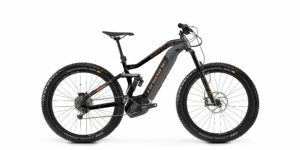 Operating the bike is a one-step process once the battery is charged and locked into place. I love that the lock is automatic, you don’t need the keys in order to secure the pack. So once you’re ready to go, just press the power button on the big display panel in the center to get it to turn on. This display only has two buttons, the circular power button and a light button just to the right. They are large and easy to understand but the LCD readouts above are even larger. This is a display that you most people will be able to read from afar… with your current speed, battery level graphic and percentage, gear and assist level taking up the most space. Along the very bottom are trip stats like average speed, odometer and range. 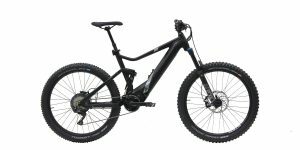 Range is very cool because it dynamically lists out how far the bike thinks you can go given the chosen power level (Eco, Normal, High) and the remaining battery capacity. Again, you navigate through these readouts by pressing the black button on the left pad. The other big feature is auto-shift which can be activated or de-activated with the black button on the right pad. I prefer to shift manually but there’s something to be said for uninterrupted cruising… it’s an experience you might have had on a single speed bicycle before but suffered through when a hill was encountered. This is your chance to get back a relaxing thoughtless ride without the struggle. 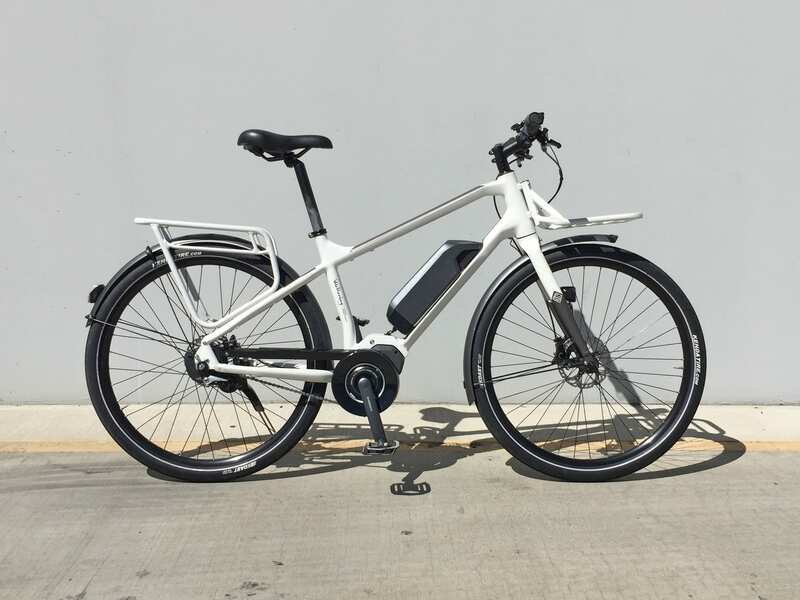 And frankly, to have any sort of automatic shifting on an electric bike for under $4k is pretty impressive. 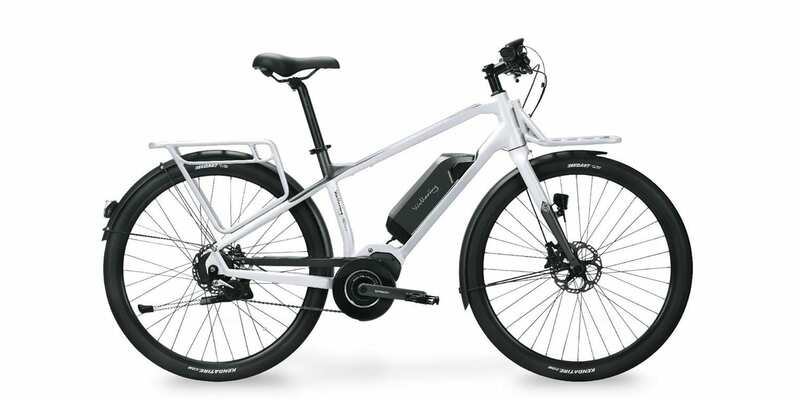 It was not as adjustable as the NuVinci Harmony that I’ve tried on some Bosch powered electric bikes, but it’s not bad, and you can override with gear shifting at any time using the up and down arrows on the right pad. Perhaps the coolest feature of all is that the system will automatically shift back to a lower gear before you start riding again (if you’ve stopped for a few seconds). You can hear this happening in the background during my video review above. It’s a great feeling, it saves your fingers and reduces distraction which is critical if you’re hauling cargo and need to keep your hands steady. And it’s only possible on an internally geared hub with electronic shifting like this. To change settings like backlighting brightness, background color inversion (dark or light for easier reading) and the dreaded beeping noise… just hold the up and down arrows on the left pad for a few seconds to enter into settings. For me, this was one of the easiest to understand but still deep menu systems around. 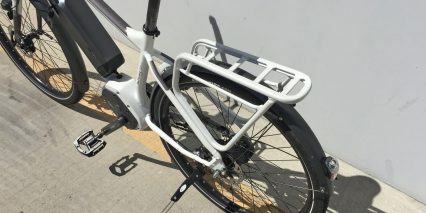 So many electric bikes hide the settings and aren’t laid out as well. They don’t give you options like the ability to turn off display backlighting but still use the headlight and tail light. This system does, props to Shimano for doing their homework. 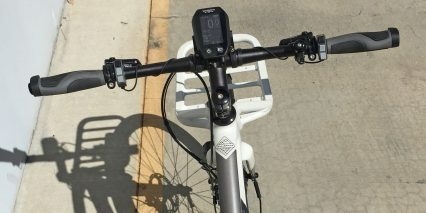 Perhaps the only complaint I have is that there dosn’t seem to be a USB charging port on the display or button pad up front… or anywhere on the bike. This would be useful for keeping a phone, music player or additional lights charged. And in the future I’d love to see larger battery options as well. 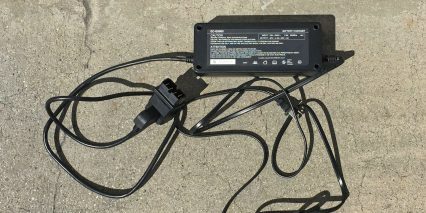 The Shimano STePs motor is efficient but many competing products are now offering 500+ watt hour packs that weigh about as much as this one. 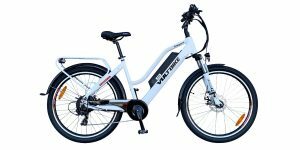 The Wallerang electric bikes do a lot of things right and the all-Shimano gearing system, hydraulic brakes and motor work seamlessly together. 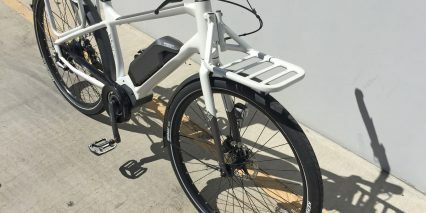 It’s deeper than a lot of the other ebike products I test and review without being intimidating… that’s saying something. I love that you can take the battery, display and front wheel off for easy transport (not to mention the racks). 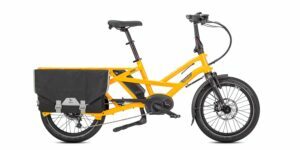 I appreciate the multiple sizes and comfort options but understand why a rigid fork might be easier to handle for front-mounted cargo vs. the suspension fork. 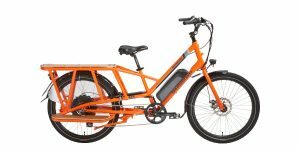 Despite the rigid all-Aluminum frame, the larger tires improve comfort and the position of the motor and battery make it easy to handle and stable (even when I was riding with no hands). The kickstand is perfect for what it is but you don’t get a large double-side stand and that’s part of the “light weight” cargo bike setup here. 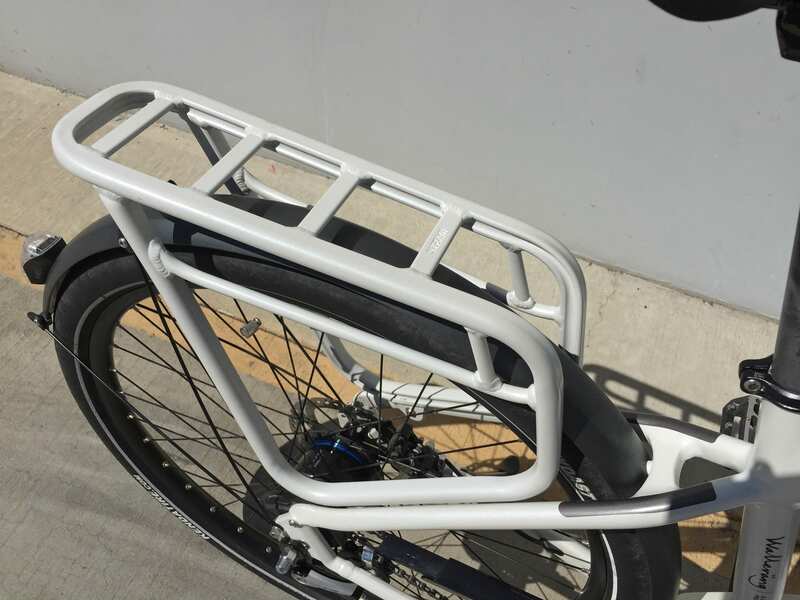 The rear rack would be excellent for use with panniers but I cannot say how well it would work with a child seat given the proximity to the saddle. Even the pedals, grips and bell are upgrades here helping to justify the slightly higher price. You do get a two-year comprehensive warranty and while the bike might not be widely available in the USA, it is coming from a brand that has been selling here for the past couple of years (Blix) and utilizes leading systems from a brand everyone recognizes and respects, Shimano. I have been using this bike as my daily commuter (40 miles a day) for a couple of weeks. Changed the seat post to a suspension post, the saddle, and the pedals. So far I’m pretty happy with the bike and the Shimano Steps system. Electronic shifting works well but you do get the occasional ratcheting noise from the hub. This is quickly sorted if you stop pedaling for a second. Auto-shift is great on good pavement, on cobblestones and very short inclines it sometimes misses to choose the correct gear. It’s best to resort to manual in these circumstances. One point of concern is the Shimano chain tensioner. This is not a spring tensioner and needs to be adjusted manually. I managed to pull the chain off the rear sprocket twice because the chain tension wasn’t tight enough. If the chain is too loose it will derail on bumpy pavement. 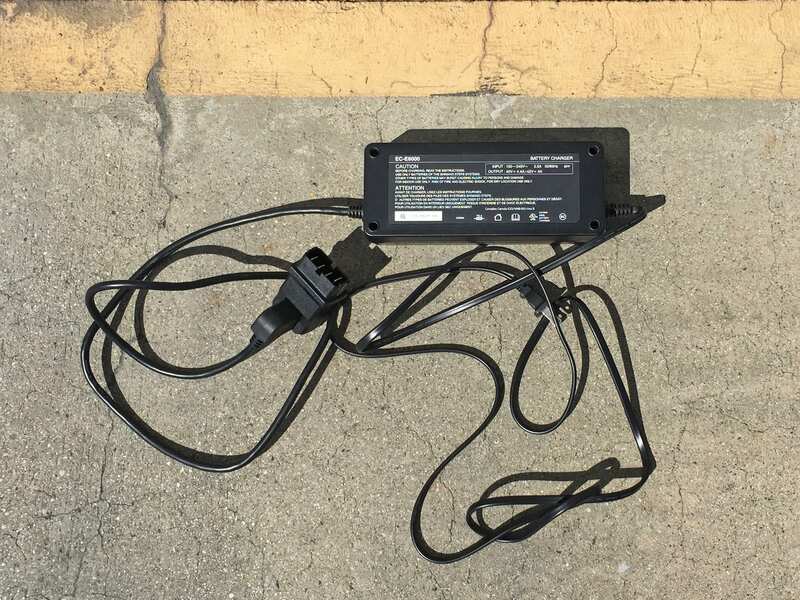 You should also get the Shimano tool (TL-EW02) to disconnect and connect the electric cable to the shift motor. The cable is very frail and as Shimano states in the manual is not meant to be disconnected frequently. A shame Walleräng doesn’t include the tool with the bike. At this time I would like to update my review of the Walleräng. In my first post I mentioned the problems I experienced with the chain derailing. These problems persisted, on average this happened twice a week. 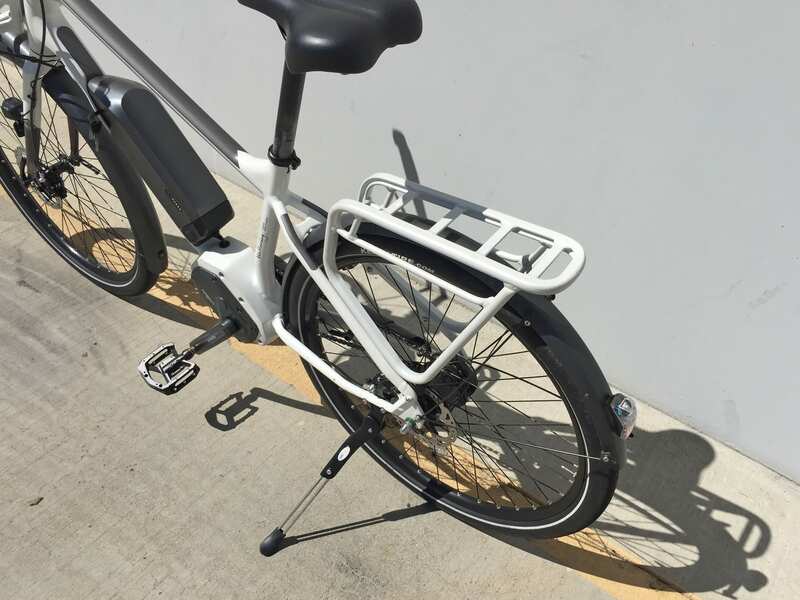 Not ideal for a bike bought for your daily commute… I contacted Walleräng directly to get this problem fixed. At first they send a replacement chain tensioner to the dealer, the dealer also checked if the chain line was properly aligned. Unfortunately this didn’t solve the problem, the frequent derailing of the chain wasn’t fixed. I noticed that the original chain tensioner (Shimano CT S-510) failed to maintain the proper chain tension, maybe caused by the sudden torque of the motor. When the chain is too loose it will derail very easily. Securing the adjustment bolt with strong LocTite helped to reduce the frequency of the breakdowns a bit but wasn’t a permanent fix. Walleräng acknowledged the problem and proposed to replace the chain tensioner with a Shimano CT S-500 tensioner. This is a spring chain tensioner and it absorbs the chain slap without losing proper tension. It took a lot of e mails and several months(!) of patience but Walleräng sent the chain tensioner, a new dropout to mount the new tensioner and the CT S-500 to the bike shop and the problem is finally sorted. I have been using the bike with the new tensioner for a couple of weeks now and the chain hasn’t derailed once. 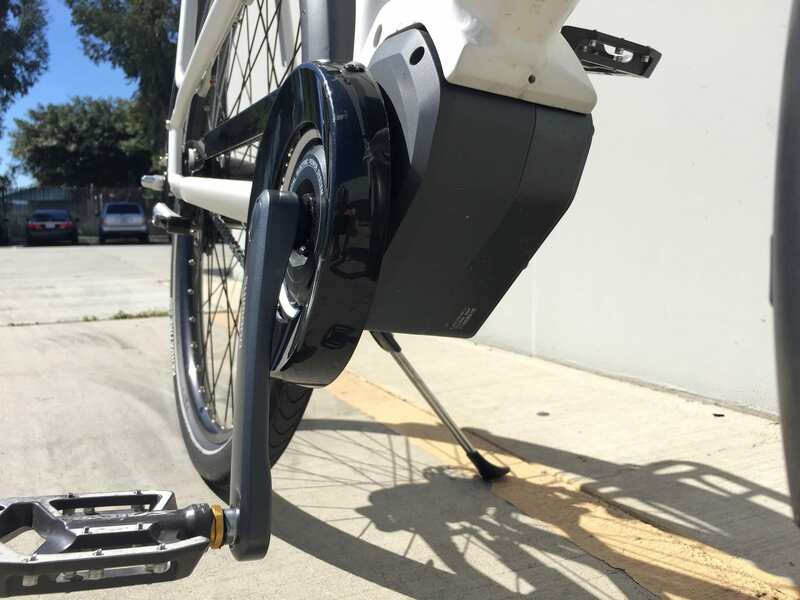 Also a word on the auto shifting functions of the Di2 system. I have completely stopped using auto shift since it is very harsh on the Alfine gear hub. I now change gears manually and even stop pedaling while shifting. The Alfine shifts a lot better (and quieter) when there’s no pressure on the pedals. For that reason I also disabled the auto downshift function at standstill, with auto downshift engaged the hub sometimes seemed to be in between two gears when riding off. The only drawback on manual shifting to me is that the shift buttons are too small, especially when wearing winter gloves. A trigger system would be a lot better than these small buttons. The Walleräng, like any bike, has its flaws and its strong points. However, based on my experience, the M.01 with the original CT S-510 chain tensioner is not recommended. In fact, I would walk away from any E bike that uses this chain tensioner. Thanks for your thorough feedback Bud! I’m glad you were able to get help, adjust how you ride the bike to minimize failure, and share all of this valuable information with me and other owners or prospective buyers. Hope the bike can hold up for your commute, share updates any time. Does anyone know if baby seats fit on the rack? if so, which ones? Hi MMM, I think it’s likely that the Thule Yepp! Maxi will fit into the square “windows” of this rack, and very likely that the newer Yepp! Next (that clamps on the sides) would work here, but you might want to call the company or a dealer to confirm.